Currently, 53% of the world’s population is offline due to factors such as high cost of Internet infrastructure and lack of relevant local content. Internet access remains unaffordable in many economies in transition where people have to choose between the Internet and other vital necessities such as food and health. Maybe one day we will look back at this historic moment in which Community Networks were paving the way for equitable and meaningful access to technology. Community Networks are an emerging complementary and sustainable solution to address the connectivity gap existing in underserved urban and rural areas around the world. Such networks rely on the active participation of local communities in the development and management of shared Internet infrastructure as a common resource. Existing examples provide concrete evidence that community network development can prompt positive effects to help communities leverage on technology for socioeconomic empowerment. We have gained experience from Guifi.Net, Zenzeleni Network, Rhizomatica and Wireless For Communities, all successful projects proving that the technical side of the community network model can be replicated. I asked Josephine Miliza a few questions to get deeper insight into the project. 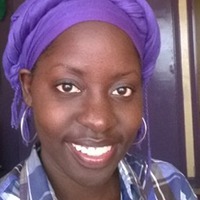 Josephine is a network engineer with a passion for empowering communities through technology. What motivated your team to upgrade the existing network? To help achieve a new goal in Kenya, the Internet Society Beyond the Net Funding Programme, in collaboration with the Internet Society’s Kenya Chapter, is supporting TunapandaNET, a pilot project that aims to upgrade an existing network with an additional 10 nodes and provide digital literacy training in Kibera, Nairobi. TunapandaNET was developed in 2015 by Tunapanda Institute to provide local youth access to educational content. Tunapanda is located in Kibera, Nairobi, and offers training in technology, design, and business. The Institute can only accommodate 25 trainees per cohort, although it receives over 300 applications every year. So we decided that students whose applications were not successful to join the program, could access Tunapanda e-learning platform to attend courses. In such a way, we reached more students than the center could accommodate. After piloting in 2016, we found that the educational situation in Kibera was getting worse. Local schools were left behind by the government ICT program. This changed our perspective on how our network could fill the “education” gap and have an impact on a larger scale. At the moment we have four existing nodes (Tunapanda Institute, two Schools with 1500 students, and one Youth Center attended by 300 youngsters). These nodes were developed, last year, in partnership with the Internet Society, the International Centre of Theoretical Physics (Italy), and Rhinotivity (Denmark). As we already have a starting point, we are now working to upgrade the network with an additional 10 nodes and build a digital ecosystem to meet the different needs of education and health in Kenya. How will the project improve people’s lives in your community? What are the first steps in developing the project? We also will be actively looking for more donation partners, as the schools need computers and software deployments. Connecting the Next Billion will be a hard work. To make it happen it is going to take all of us. We are looking for new ideas from people all over the world on how to make your community better using the Internet. The Internet Society Beyond the Net Funding Programme funds projects up to $30,000.00 USD.Read this report by Carlos Rey-Moreno to get inspired: Supporting the Creation and Scalability of Affordable Access Solutions: Understanding Community Networks in Africa. Check out our Community Networks landing page with information about partners, projects, and resource materials, and follow us on Twitter!